As the Communist Party of India (Marxist) gears up to celebrate the centenary of Jyoti Basu, it is acutely aware that the party is today a pathetic shadow of the entity that had emerged in 1964 after the split in what has come to be known as the undivided CPI. Sad to reflect that in the centennial of one of the architects of the Communist movement in India and close to 50 years after the party&’s foundation, the party has lost the dynamism and sense of direction that had sustained its government for 34 years (1977-2011). Two years after being upstaged ~ for the worse rather than the better, one must interject ~ the party seems to be groping for a terminus. A terribly unfortunate comedown for an organisation that had been led to victory in seven consecutive Assembly elections, pre-eminently by Jyoti Basu. Even the CPI-M&’s diehard sympathiser will readily concede that in the three and a half years since Basu&’s passing, the party has lost its robust character that was shaped pre-eminently by Promode Dasgupta, Basu himself, Saroj Mukherjee, Benoy Chaudhuri, and Anil Biswas ~ the last a master strategist. Indeed, the party has lost its strategic finesse in the years since Biswas’ death (March 2006). From the heyday of Basu, it was reduced to a bumbling dispensation in the twilight phase of Communist rule in Bengal. Mercifully, the resident of Indira Bhavan didn’t survive to bear witness to the CPI-M&’s eclipse. This essay will focus on three facets ~ the panchayat elections in the context of the centenary; the party&’s failure to build up another generation of leaders; and the party&’s equation with the Congress, indeed a profound change in strategy that was advocated by Basu. Almost right up to the last, Basu was markedly different from the rest, given his stint in the Forties with the Communist Party of Great Britain (CPGB) ~ the parent company ~, his relative proximity to the capitalist class and distinctive personality, the libertarian outlook, the brisk gait even in his advancing years, the staccato tone, and incomplete sentences. It used to be said of him that while he would discuss cuisine with officers’ wives at parties, he never discussed politics with his bureaucrats. The obituary grandstanding at Kolkata&’s Mahajati Sadan on 8 July couldn’t quite muffle the war-cry ~ tomra party ke bachao ~ that had resonated in Alimuddin Street in the immediate aftermath of the Nandigram firing (Phase I, March 2007). That forthright caveat was greeted with sullen silence by his successor Chief Minister. Not that the old man never stumbled, and metaphorically so. And quite the most dangerously in the spheres of primary education and health. Industrialisation tanked despite a raft of MoUs. Yet his signal achievements ~ the panchayati raj and Operation Barga ~ have degenerated over time to cesspools of corruption and ineptitude. And this must rankle uppermost as the party fights the battle over panchayats this month, indeed for the first time in the absence of Basu. Ironically enough, the crisis in rural governance can in large part be attributed to the waywardness of the CPI-M&’s cadres whom neither Basu nor Buddhadeb Bhattacharjee nor for that matter Biman Bose have been able to rein in. Equally, the quangoes have wallowed deeper in the mire under the Trinamul Congress dispensation. In a span of three decades, Basu&’s watershed achievement is in tatters and the party might well stew in its own juice. Hence the strident reference to the panchayat elections at his centenary meeting, which turned out to be an election campaign in the presence of a captive audience. His generation of leaders, now extinct, had the foresight to build up the next generation that could hold the fort, pre-eminently the likes of Buddhadeb Bhattacharjee, Biman Bose and Anil Biswas. Having lost the zeal to bounce back, the party also appears to be impervious to the imperative to build up another set of potential leaders. The promising ones among them are either sidelined or expelled, notably Prasenjit Bose of JNU who had opposed the party&’s support to Pranab Mukherjee&’s candidature for President. At another remove, the likes of Ritabrata Banerjee, the SFI general secretary and CPI-M state committee member, can get away with a mild rap on the knuckles by the ombudsmen at Gopalan Bhavan after the hooliganism in April against the Chief Minister and the state&’s finance minister in Delhi. The fact that the Bengal school had distanced itself from the party-sponsored outrage near Yojana Bhavan reinforces the disconnect within. We do not know if the party, in Basu&’s absence, is suffering from inertia, if not a sense of atrophy. Yet we do know that it has somehow lost the zeal even to protest. On the eve of the panchayat elections, it was expected to play merry hell with the collapse of the parallel economy in rural Bengal, that has witnessed a spate of suicides in the wake of the Saradha scam. It didn’t. Just as it has failed to exploit the mounting urban disenchantment over consistently faltering governance and police high-handedness, when not masterly inactivity. 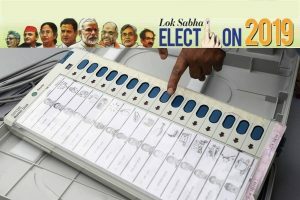 Should the Trinamul Congress make the grade in the panchayat elections, it will be largely by default ~ the kind of victory that is embedded in the frailty of the opposition. The cavil that the CPI-M had failed to field candidates in several panchayats is well-taken. Yet this is only part of the overall malaise. There is little doubt that the party has been uncharacteristically weak-kneed in the tumultuous weeks ahead of the elections. The party&’s equation with the Congress is a critical issue that it needs to reflect on during Basu&’s centenary year. A bout of introspection will inevitably lead to the larger issue of the Bengal school&’s equation with the central leadership, most importantly the likes of Prakash Karat. Not the least because it was Basu, more than any other leader, who had advocated support for the Congress to keep the Bharatiya Janata Party at bay. This dramatic change in strategy ~ CPI-M and the Congress on the same dais, so to speak ~ marked a profound evolution of Basu&’s political philosophy in his twilight years. The Bengal CPI-M is still smarting over the party&’s decision to withdraw support to the Congress-led United Progressive Alliance over the Indo-US nuclear deal (July 2008), let alone the expulsion of Somnath Chatterjee. For all the grotesque miscalculation in Singur and Nandigram, there is an influential section within the state CPI-M that is convinced that severance of ties with the Congress did the party in. It was another miscalculation on the part of Karat & Co., set to match Mamata Banerjee&’s design, however unwittingly. It was, above all, a miscalculation that went against the Basu line. In a sense, the severance of ties with the Congress was a “blunder” that Buddhadeb Bhattacharjee can neither forget nor forgive. His absence at Politburo meetings in Delhi cannot alone be ascribed to his often being under the weather. 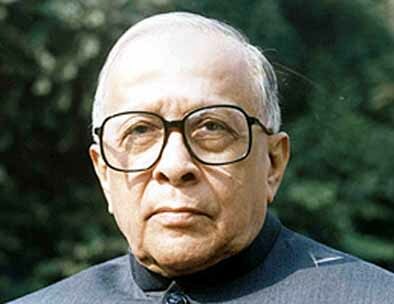 Not to put too fine a point on it, the CPI-M today isn’t quite the party that Jyoti Basu knew. And he knew his onions better than all or nearly most of his comrades. The “In Memoriam” reference on his centenary can be as stark as that ~ transcending the conjecture since the summer of 1996 on whether he would have been the best Prime Minister India never had.